Click to See Who Has It! 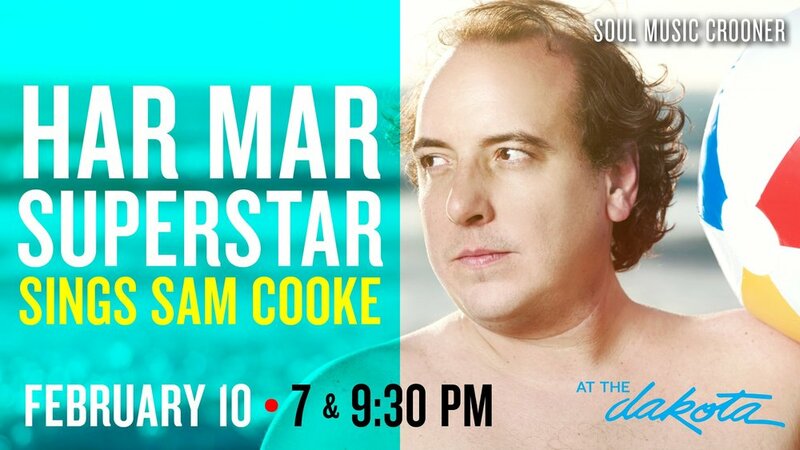 Har Mar Superstar & Full Band perform the songs of Sam Cooke. Due to amazing and overwhelming demand, we’ve decided to take this show on the road. It’s an evening of celebrating the pop & love songs of my favorite singer & songwriter, Sam Cooke. My band and I will also do a set of my own songs inspired by him. This show is for everyone. Can’t wait to see you out there this Spring / Summer. If tickets for your city aren’t on sale just yet, they will be on Friday. Don’t sleep! Get yourself a ticket ASAP! Har Mar Superstar's 2/10 show sold out the day it went on sale. You know who else has done that here? Prince & only Prince. Fortunately, Har Mar has agreed to join us for Valentine's day! Tix on sale this Friday (1/12) at 10:00 AM.